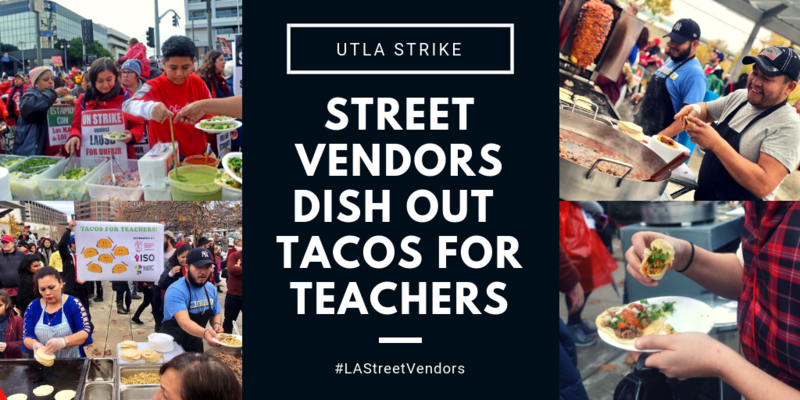 In the midst of the historic LA public school teachers strike, the Los Angeles Street Vendor Campaign has joined forces with an initiative called “Tacos for Teachers,” which has raised over $30,000 to bring tacos to picket lines and actions across the city. Just weeks after street vending was officially legalized on Jan. 1 — marking an important victory for economic and immigrant justice in the city — the campaign is showing solidarity with teachers, who like vendors, are largely women and people of color. 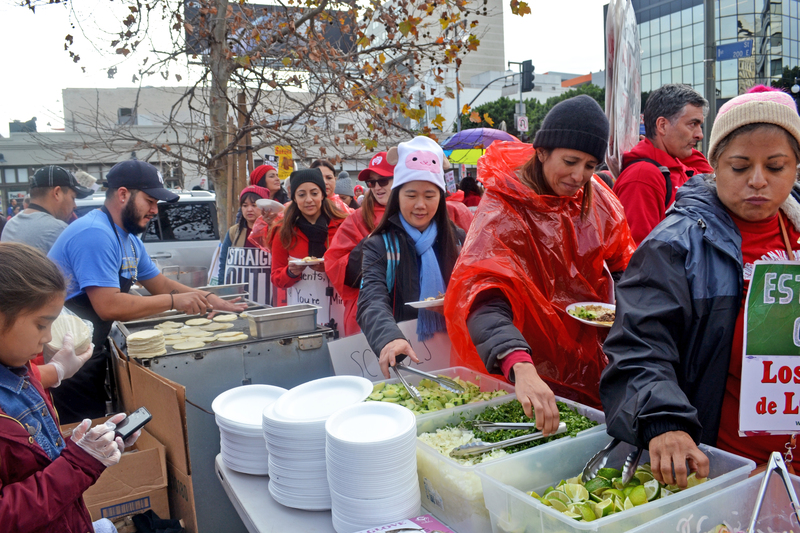 The LA Street Vendor Campaign first joined “Tacos for Teachers” as a vendor partner at a rally at the California Charter Schools Association on Tuesday, January 15, and vendor leaders are scheduled to bring more tacos to pickets at schools across the city in the coming days, including Lincoln High School and Franklin High School on Friday, Jan. 18. They will continue to expand to more schools if the strike continues into next week. 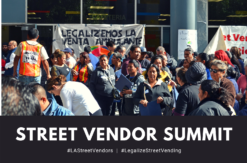 In 2019, the LA Street Vendor Campaign will continue our community organizing with street vendors to ensure the City of Los Angeles permit regulations are fair and inclusive. 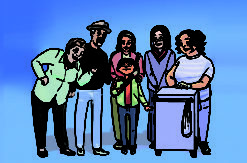 ELACC’s community organizing efforts will include outreach to vendors across California to ensure they know their rights under SB946 Safe Sidewalk Vending Act (Lara), which legalized vending statewide. 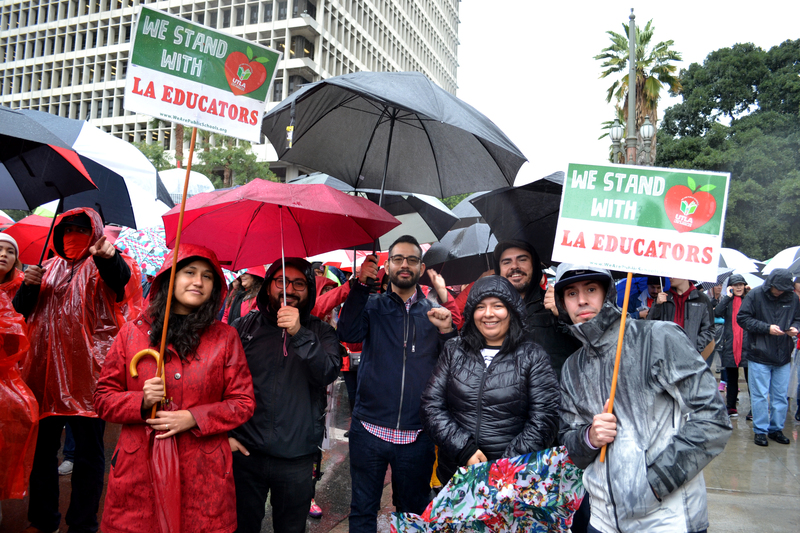 On Monday, the ELACC team also came out in support of the strike, marching in the rain alongside 50,000 teachers. 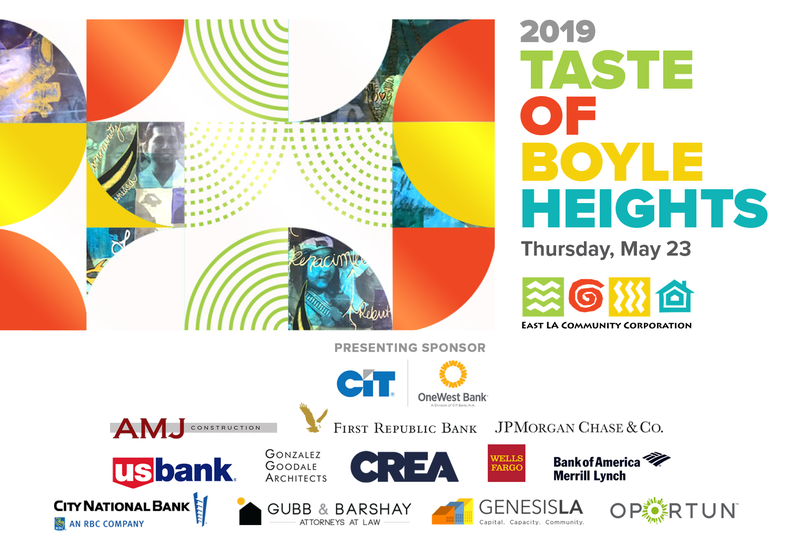 ELACC is proud to stand with the UTLA teachers fighting for real investment in our schools, students, and neighborhoods — we see that education and equitable development go hand in hand in our collective struggle to uplift our communities. 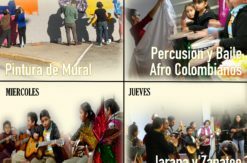 The Tacos for Teachers fundraiser was launched by organizers from the Los Angeles chapters of the Democratic Socialists of America and the International Socialist Organization, who have promised to use any remaining funds not used on tacos to donate directly to the Alliance to Reclaim Our Schools. Address the charter industry drain that siphons more than $600 million from our schools every year. Read more about their fight here.